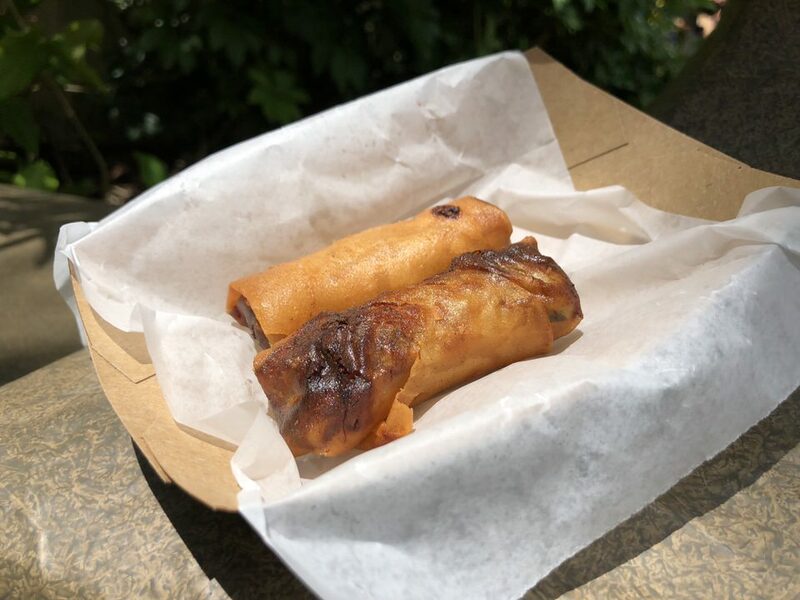 There is nothing like a delicious fad Disney Parks food item, and one that has nearly earned legendary status is the Cheeseburger Spring Roll found in Adventureland of the Magic Kingdom. No, it’s not an item you’ll find at Sunshine Tree Terrace, Aloha Isle, or even Tortuga Tavern, but instead you can grab this item from the cart located to the left of the stairs leading you to Jungle Cruise and directly across from the Enchanted Tiki Room sign. Cheeseburger Spring Rolls have come and gone over the years and even made their way to Animal Kingdom at one point, and like everything in a Disney Park, it has dramatically risen in price. What was once $4.50 years ago now comes with a hefty price tag of $7.50 for two miniature spring rolls. 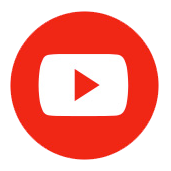 Are they worth the price? The short answer is no. The Cheeseburger Spring Rolls are a delicious snack. The cheeseburger filling tastes very similar to the Cheeseburger Pods found over at Satu’li Canteen in Pandora – The World of Avatar. There isn’t a ton of ground meat inside, and what is in there could be seasoned a bit more. Some bites contain more cheese than others, but an onion and pickle flavor helps round out the entire profile. When you place it inside a crispy, crunchy spring roll, it actually elevates the basic ingredients inside to the next level. Throw on a little ketchup or mustard and the Cheeseburger Spring Rolls become a thing of beauty. However, they are just too small. 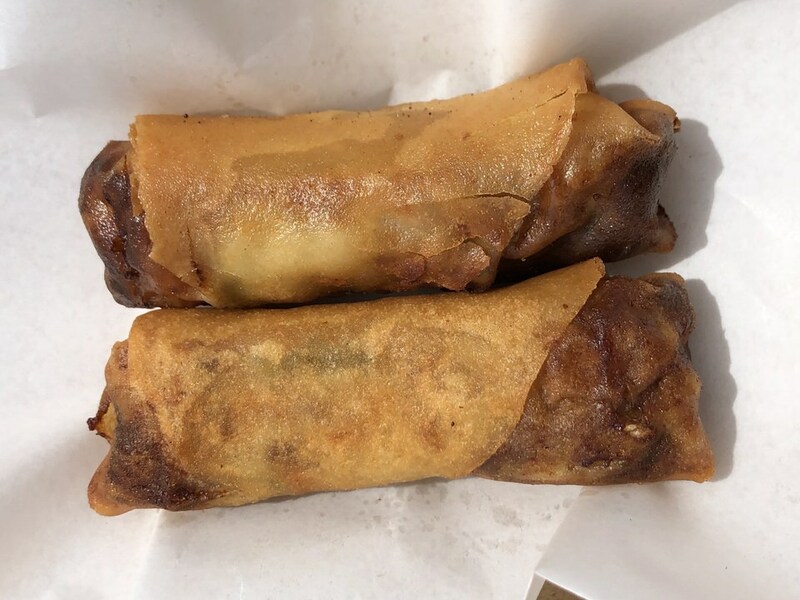 Realistically, you can finish one spring roll in two bites or less if you’re a pig like me. Having two of them helps the cause, but this is a $4.00 dish with a $7.50 price tag and there are better unique snacks around the parks to try out.